ECOS is Aurora’s Premier Water Damage Restoration Company Operating From 3538 Peoria St. Suite 507, Aurora, Colorado 80010! Call 303-442-3267 To Hire Aurora’s BEST Water Damage Restoration Company. Call Before Your Damage Gets Worse Which Will Cost You More Money To Restore Your Property. ECOS Water Damage Restoration Aurora Professionals Have Over 12 Years Industry Experience Responding To Office & Home Emergencies On A 24/7 Basis. ECOS Is A Reputable Company With A+ BBB ACCREDITATION. ECOS Environmental & Disaster Restoration (“ECOS”) Is A Premier Aurora, Colorado Restoration Company Focused On Water Damage, Mold Damage, Fire Damage, and Asbestos Testing & Removal. Our office location is 3538 Peoria St. Suite 507, Aurora, Colorado 80010. Call ECOS immediately before your restoration damage gets worse. Call 303-442-3267 To Hire Aurora’s BEST Water Damage Restoration Company. ECOS staff understand the devastation and confusion that can come with a flood, fire, or other emergency, so when you call you will most likely speak with one of the owners or a senior manager to help you best. Once on the job, our teams of professionals will work to keep you fully up to date on the project and to make sure we are meeting your needs and expectations. We can work closely with your insurance carrier to make sure that you pay as little out of pocket as possible. And with ECOS Guaranteed Service, you get a one year guarantee on fire damage and water damage repairs. Above all, our goal is to help get you back into your home or office safely, quickly, and comfortably. 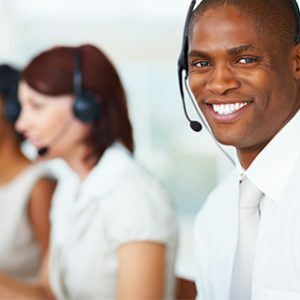 The ECOS Aurora office has a live operator on call 24 / 7 basis. Our operator is typically an owner or manager that will organize a prompt response to your location. 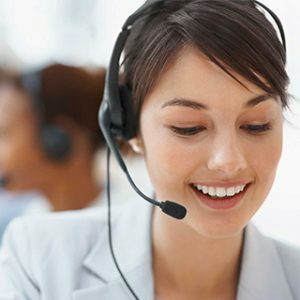 We will arrive at your location within 2 hours with our average respond time frame within 60 minutes. How can we respond so quickly? Location, location, location helps us reduce our response time. Call 303-442-3267 To Hire Aurora’s BEST Water Damage Restoration Company. 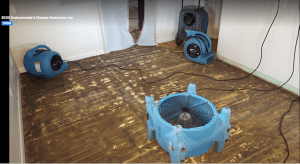 Water Damage Restoration Englewood Colorado: Call ECOS On 303-442-3267 To Hire Englewood’s BEST Water Damage Company. Insurance Friendly & A+ Rating From The Better Business Bureau. Talented & Friendly Professionals That Respond Quickly Saving You Time & Money. Our Water Damage Restoration Englewood Colorado Office Is Located @ 12656 East Jamison Place #12 Englewood, Colorado 80112. We Are Right Next Door To The Centennial Airport & Ramada & Down The Street From The Denver Broncos Training Facility. This Office Has Quick & Easy Access To Highways Allowing Our Water Damage Technicians To Respond Quickly Saving You Time & Money. 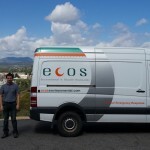 ECOS works very well with all insurance companies. In fact, we are a preferred contractor with the best and largest insurance companies by participating on third party programs. We can provide water damage service for small, medium, or large properties. To assist with this insurance process, we take photographs “before” our restoration service. These “before” pictures allow the insurance company to see the extent and location of the damage prior to our services. We also take pictures “after” our emergency water damage cleaning service. These “after” pictures provide proof to the insurance company that the property is fully restored. ECOS professionals will also walk through your property with your insurance company adjuster before and after we perform our services. This process is very important to make the claims paying process seamless for the property owner. Call ECOS 303-442-3267 now for ANY & ALL water damage cleaning service. Category 1: Clean Water Damage Repair. This refers to a source of water damage that does not pose substantial threat to humans. Examples include broken water supply lines, tub or sink overflows, or appliance malfunctions that involves water supply lines. After 48 hours, Category 1 Water turns into Category 2 Water. This implied that response time is important to prevent the water damage repair services from becoming more expensive! Category 2: Grey Water Damage Repair. This refers to a source of water damage that contains a significant degree of chemical or physical contaminants. These contaminants can cause discomfort or sickness when exposed or even consumed. Examples are toilet bowls with urine, sump pump failures, and water discharge from dishwashers or washing machines. After 48 hours, Category 2 Water turns into Category 3 Water. Once again, this implies that response time is important to prevent the water damage repair services from becoming more expensive! Category 3: Black Water. This is the most dangerous form of water damage. Primarily present during a sewage back up, or extremely unsanitary conditions, category 3 or “black water” contains harmful fungi, bacteria and other microbes hazardous to your health. When this type of water is present, a professional is required to replace affected items such as carpet, flooring, drywall and interior contents with new, unobstructed building materials. Once Again, Call ECOS On 303-442-3267 To Hire Englewood’s BEST Water Damage Restoration Company. 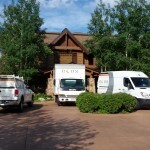 ECOS Has Been Offering Water Damage Restoration Vail Colorado Services For Over 12 years. Our Team Is Friendly & Compassionate. The Top Reasons Why You Should Hire Our Company For Your Project…. 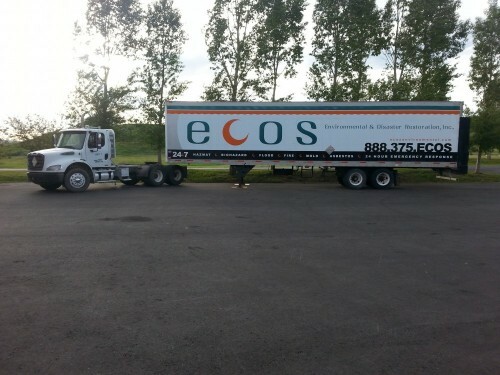 Location is extremely important to our company at Ecos Environmental & Disaster Restoration. Why is this so important? Because it allows us to arrive quickly to your property- no matter what time of day or night. This is a stressful time for you and your family, and trust us- the last thing you have time for is addressing property damage. However, if you do encounter an emergency, you need someone to arrive quickly to start the restoration process. That is why we offer 24/7 service – with operators available at any time of day. ECOS Is Steamboat’s Premier Damage Restoration Company Operating at 1920 Bridge Lane – Unit 8a, Steamboat Springs (see map below). Call ECOS immediately before the flood water damage gets worse. ECOS professionals have over 10 years industry experience responding to properties needing emergency damage restoration help. ECOS has a live operator on call 24 hours a day, 7 days a week, 365 days a year. Our operator is typically an owner or manager that will organize a prompt response to your location. Our office location gives us close proximity to Steamboat residents. 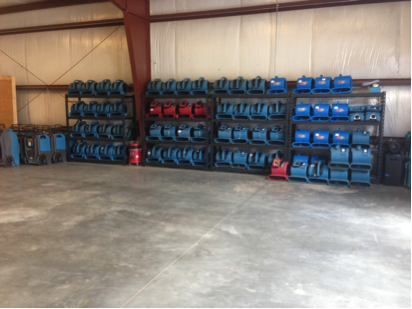 Plus, we have technicians at our show ready to respond on a 24/7 basis. This allows our response time to be less than an hour in most of our emergency response jobs. The ECOS Steamboat Branch Manager is Ian Frazier and his family has firm and long lasting roots in the Steamboat Springs community. Ian has put together a team of clean cut professionals that have i.d. badges to notify the property owner that they have had criminal background checks. Steamboat Damage Restoration technicians are IICRC certified, have many years of experience, and are friendly to all of our customers. 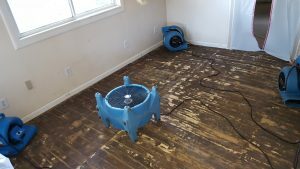 Water Damage Restoration Rifle CO: Call ECOS On 970-626-3267 To Hire The Best Water Damage Restoration Company In Rifle, Colorado. 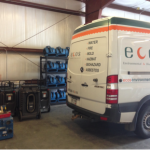 ECOS Provides Exceptional Customer Service & 12+ yrs Experience! More Specifically, ECOS Offers Fast & Reliable Service Responding From Our Rifle Office Located @ 1595 Airport Rd, Rifle CO 81650. Top 10 Reasons Why Commercial & Residential Customers Should Call ECOS On 970-626-3267 To Dry Out Their Property? Call ECOS immediately before your restoration damage gets worse. Call (970) 626-3267 To Hire Rifle’s Best Restoration Company. 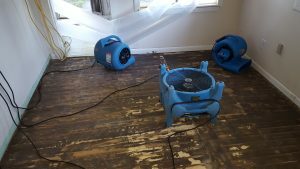 Water Damage Restoration Glenwood Springs Colorado: Call ECOS On 970-945-4407 To Hire Glenwood’s BEST Water Damage Restoration Company. For Over 13 Years, ECOS Has Helped GWS Residents Restore Their Property. Our GWS Office Location Is Located At 6690 Highway 82 Glenwood Springs, Colorado 81601. This Location Allows Us To Have A Fast Response Time To Your Water Damage Loss Saving You Time & Money! Insurance Friendly As We Are On MOST National Insurance Programs — The Most Programs In The Roaring Fork Valley. Not all water damage is created equal. Depending on the source, the size of the affected area and how long the water has been present within the affected areas can all contribute to the category of water type. Most commonly referred to as “clean water”, Category 1 water would reside from broken pipes, sink or bathtub overflows, or an appliance failure contributed to the water line network. Typically addressed immediately and the most inexpensive to restore, this water has been standing for less than 24 hours. Moving into a more sickly environment, category 2 encompasses water types referred to as “grey water” or water that could cause discomfort if exposed. Once stagnant water has been present in an affected area for more than 24-48 hours, this category type requires a professional to mitigate and restore any affected areas. If left untreated for too much longer, the structure of the building could be compromised, and hazardous conditions could develop. Primarily present during a sewage back up, or extremely unsanitary conditions, category 3 or “black water” contains harmful fungi, bacteria and other microbes hazardous to your health. 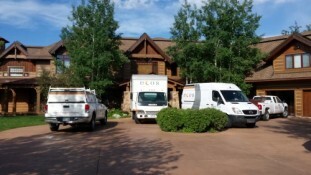 Once Again, Call ECOS On 970-945-4407 To Hire The BEST Water Damage Restoration Company In Glenwood Springs! 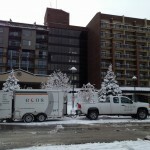 ECOS is Denver’s Premier Water Damage Restoration Company Operating From 14175 E. 42nd Avenue Denver Colorado! Call 303-442-3267 To Hire Denver’s BEST Water Damage Restoration Company. Call Before Your Damage Gets Worse Which Will Cost You More Money To Restore Your Property. 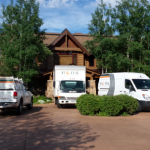 ECOS Water Damage Restoration Denver Professionals Have Over 12 Years Industry Experience Responding To Office & Home Emergencies On A 24/7 Basis. ECOS Is A Reputable Company With A+ BBB ACCREDITATION. 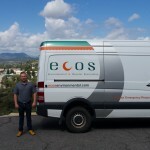 ECOS Environmental & Disaster Restoration (“ECOS”) Is A Premier Denver, Colorado Restoration Company Focused On Water Damage, Mold Damage, Fire Damage, and Asbestos Testing & Removal. Our office location is 14175 East 42nd Street, Denver, CO 80239. Call ECOS immediately before your restoration damage gets worse. Call 303-442-3267 To Hire Denver’s BEST Water Damage Restoration Company. 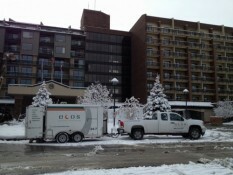 The ECOS Denver office has a live operator on call 24 / 7 basis. Our operator is typically an owner or manager that will organize a prompt response to your location. We will arrive at your location within 2 hours with our average respond time frame within 60 minutes. How can we respond so quickly? Location, location, location helps us reduce our response time. Call 303-442-3267 To Hire Denver’s BEST Water Damage Restoration Company. 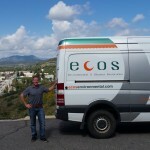 ECOS is Boulder’s Premier Water Damage Restoration Company Operating From 4525 N. Broadway, Boulder Colorado 80304. 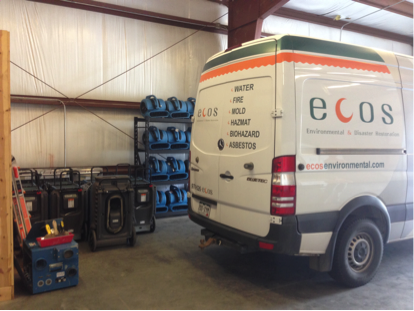 ECOS DOES MORE THAN WATER DAMAGE. For Over 12 Years, ECOS Has Helped Local Residents With Fire Damage Restoration, Mold Removal, Asbestos Testing, Asbestos Removal, & More (Please See Our List Of Services Below)….Top 10 Reasons Why Boulder Clients Should Call ECOS On 303-442-3267 To Dry Out Their Office Or Building? Call ECOS immediately before the flood water damage gets worse which will cost you more money to restore. ECOS Water Damage Restoration experts have over 10 years industry experience responding to home and office emergencies. ECOS has a live operator on call 24 hours a day, 7 days a week, 365 days a year. Our operator is typically an owner or manager that will organize a prompt response to your location. 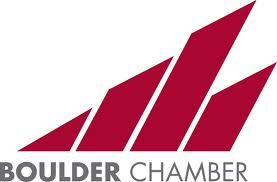 We are a reputable company with A+ BBB ACCREDITATION and we are listed on the Boulder Chamber of Commerce. ECOS staff understand the devastation and confusion that can come with a flood, fire, or other emergency, so when you call you will most likely speak with one of the owners or a senior manager to help you best. 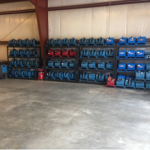 Once on the job, our technicians and managers will work to keep you fully up to date on the project and to make sure we are meeting your needs and expectations. We can work closely with your insurance to make sure that you pay as little out of pocket as possible. And with ECOS Guaranteed Service, you get a one year guarantee on fire damage and water damage repairs. Above all, our goal is to help get you back into your home or office safely, quickly, and comfortably. Bridget is the Office Manager for our Boulder Office. She joined ECOS in January of 2016, bringing a strong background in customer support and marketing. Bridget graduated from the University of Virginia in 2010 with a degree in history, and immediately began working at a domestic violence shelter in her hometown. After three years, she became the director of development and communications which honed her customer service and project management skills. 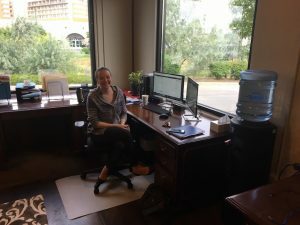 Bridget is excited to be a part of this tight-knit team and to help ECOS continue to grow and provide excellent service to the Boulder and Denver area. The Boulder Office’s Senior Project Manager is Jonathan, who joined ECOS in July of 2014. Jonathan started with a strong background in construction, and joined the restoration industry in 2006. He has extensive experience managing many and multi-faceted jobs including asbestos, fire, water, mold, and more, as well as with large loss catastrophes across Colorado and the United States. Additionally, Jonathan serves as the asbestos abatement division head, which is an important service line ECOS offers to our customers, even while most other restoration companies do not. Our Water Damage Company has proudly helped Boulder residents for over 7 years and ECOS will celebrate its 12th year anniversary in 2016. 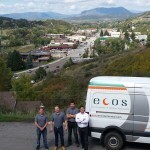 In 2013, ECOS mobilized trucks filled with equipment and hired an additional 80 employees to help Boulder citizens recover from major flooding. ECOS helped over 125 customers during the Boulder floods and many of these customer have become repeat customers for our firm.